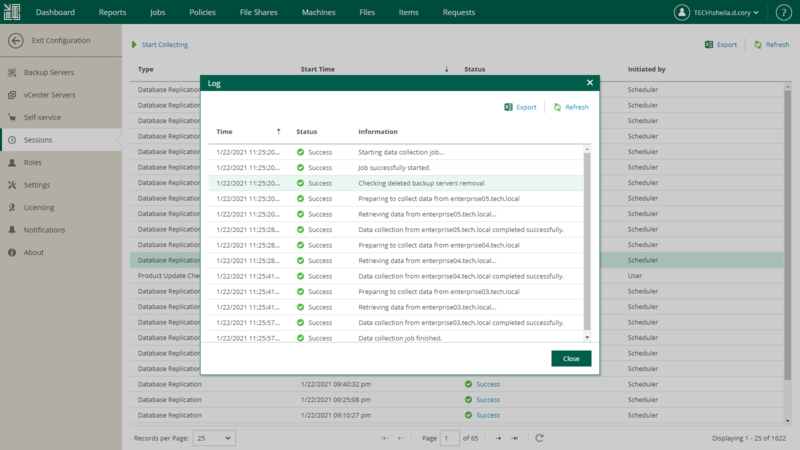 Data collection from the managed Veeam backup servers performs using a data collection job. The data collection job collects information about backup and replication jobs from SQL database(s) used by backup servers. 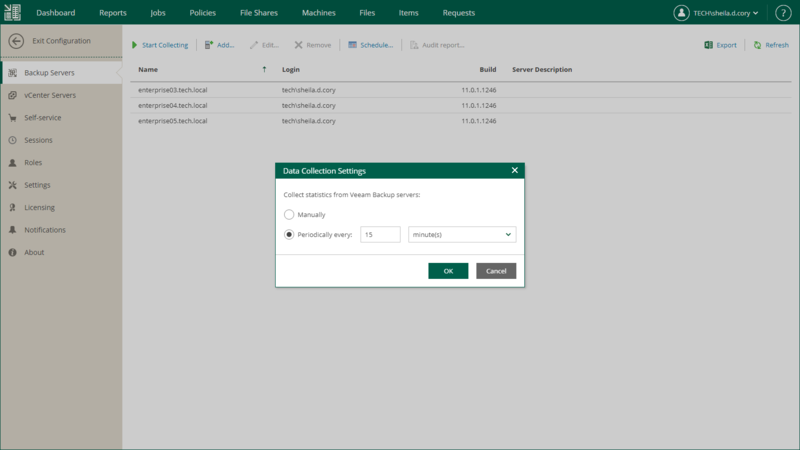 The collected data is stored to the Veeam Backup Enterprise Manager SQL backend and can be accessed by multiple users via the management website. It is recommended to use periodical data collection in order to ensure timely synchronization and update of the information presented to users. Select Backup Servers on the left of the Configuration view and click Schedule on the toolbar. In the Data Collection Settings window, specify the desired interval in the Periodically every option. In the Data Collection Settings window, select the Manually option. In the Backup Servers section of the Configuration view click Start Collecting on the toolbar. When you run a data collection job, it collects data from all added backup servers at once. After you select the Manually option from the Data Collection Settings window you can start the data collection job at any time by clicking Start Collecting on the Backup Servers section toolbar. Every run of the data collection job initiates a new job session. To view details on job sessions, click Sessions section on the left of the Configuration view. In the list of sessions, select the one you need and follow the View link in the Log column.